I could say that my retirement was my reward, but in reality, it was having the opportunity to travel to new parts of the world. 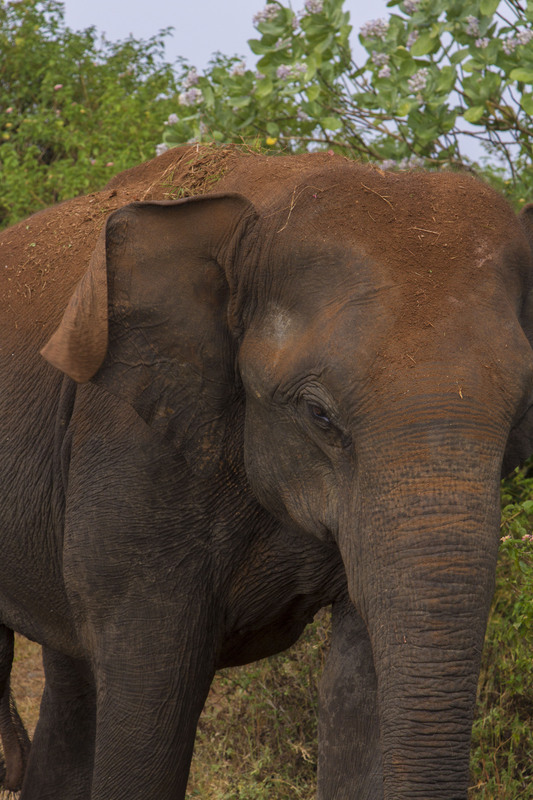 In the past year, I have encountered three types of elephants in the wild: the desert-adapted African elephant, the African elephant, and most recently, the Sri Lankan elephant. This bull in Udawalawe National Park passed so close to our safari vehicle I could have touched him. Thanks. I just love elephants. what a delightful way to spend your retirement! Gorgeous to go on safari and experience such wonder! It has been wonderful. I am approaching the one year mark and retirement reality (ie needing to budget more efficiently) is setting in.